We are still waiting for the great Condi Rice to raise more capital for her failing firm KIOR. Their stock hit a low of $1.91 this morning. Condi was spotted at Stanford running over to Dr. Chu Chu's office and asking the Stevie Wonder of Physics what to do??? Stevie told her ask Moniz for Monies. But Ernie will not fund the junk company the three time cellulose loser Vinod Khosla controls. So Khosla and Rice will have to come up with some other gangrene green to save the alchemic company the US DOE and EPA had “supplying” 55% of all the sell-u-lose fuel in the USA for 2013. What a crock of biomass that story was. It is bloody sad that Stanford University has two professors like Rice and Chu who were so bloody inept in government. One got us into a fake war over weapons of mass destruction the other simply lied about weapons of mass combustion. I guess those who can’t do teach is the norm at Stanford when hiring from the high levels of government. 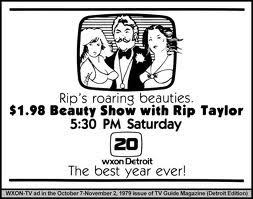 35 years ago we had the $1.98 beauty show on TV that was a spoof on Miss America. The winner of the weekly ”talent” show got a bunch of carrots and $1.98 in change. The show was a sister show to the Gong Show. Condi is the winner of the $1.91 Gong Show for her talents in playing the piano and running a public company. Ophir one of my regular readers told me that in Hebrew the word kior mean sink and there is no doubt this company has been been a sink for money, heat, wood and just about anything on the planet. The only item it was not a sink for was carbon. Actually the alchemy resembles a black hole that not even light can escape. For a good laugh that plays on the word sinking I suggest you all click on this youtube link for an advertisement of the Berlitz language school. I wonder what Condi is sinking about.